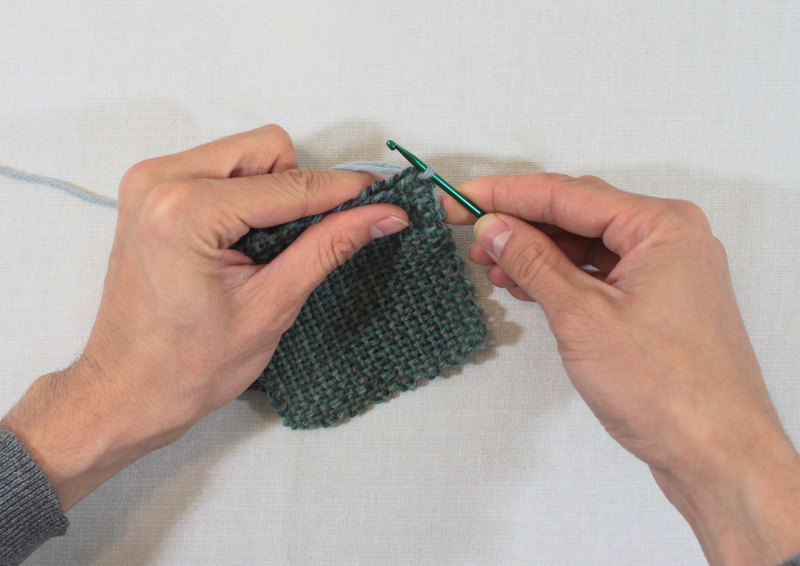 You’ve woven dozens of squares, and the seemingly daunting task of seaming has confronted you. Fear not! 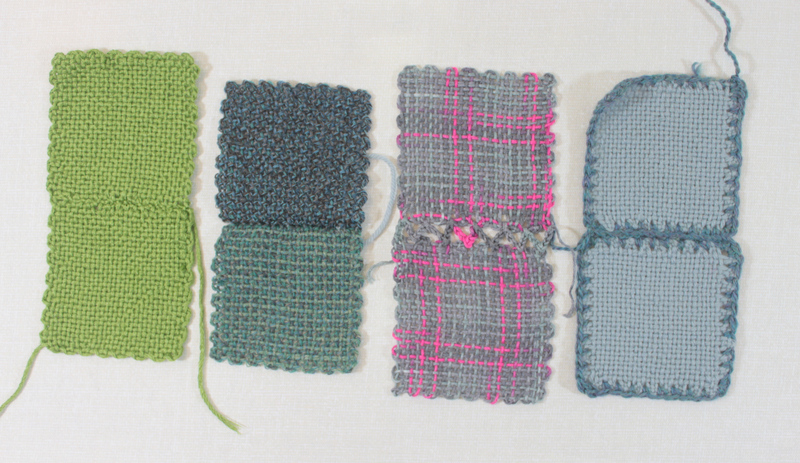 Here are five great tips and tricks for seaming Zoom Loom squares together, all with their own unique applications. 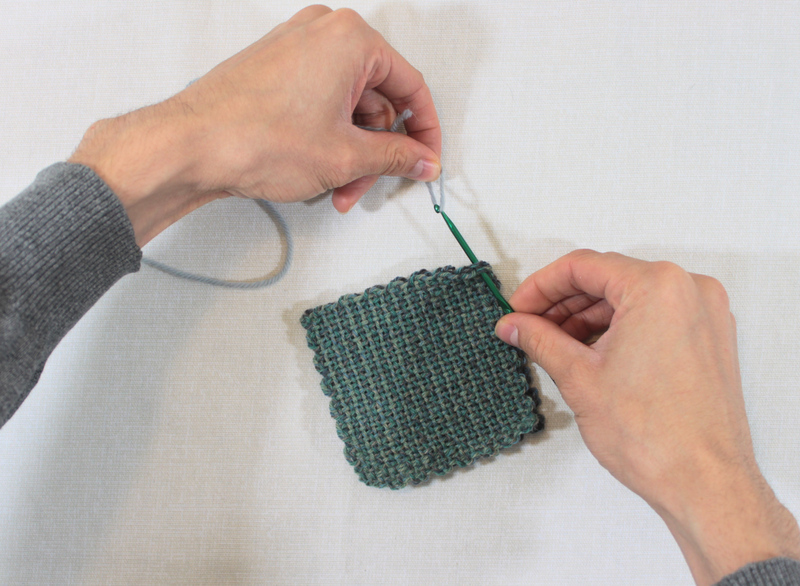 If you know which method that you want to use in seaming your squares together at the beginning of your project, this will make your life easier in the long run. 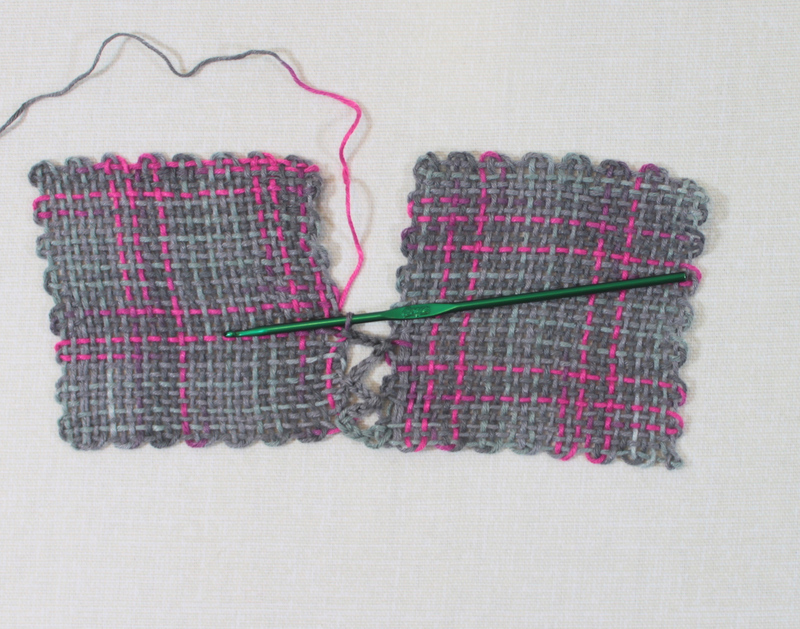 Another pre-seaming tip is to not wash or full your squares before sewing your squares together. 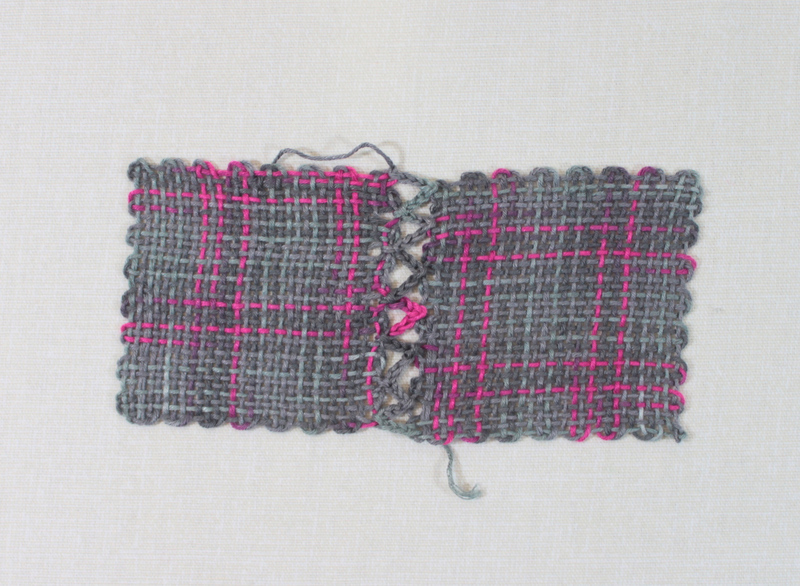 If you are creating larger pieces of fabric with your zoom loom squares, it helps to sew squares into long strips, then sew those together in one run. First we start with what may be thought of as the easiest technique, sewing them together with a needle and a thread using the whip stitch. Leave a long tail after you have finished weaving the square, then take a tapestry needle and thread your long tail through the needle. 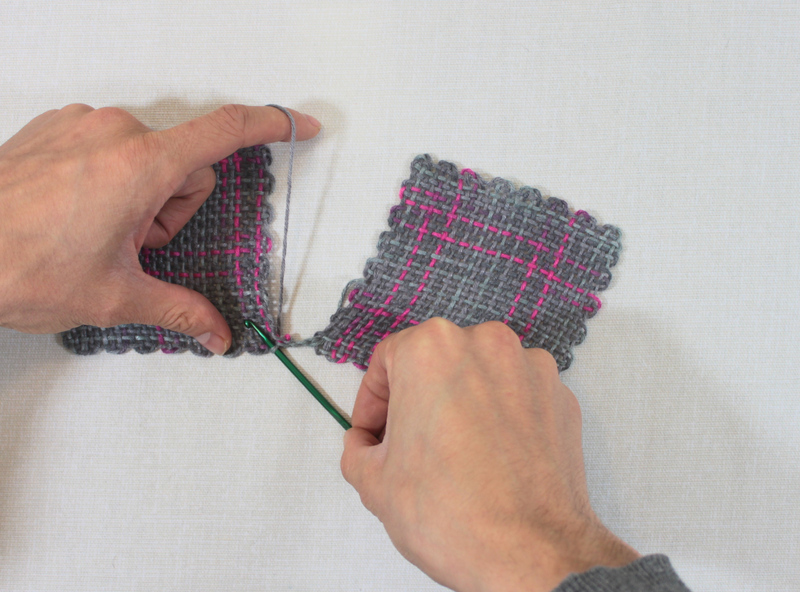 Lay your squares flat on the table in front of you, then sew from the right side to the left side along the same. 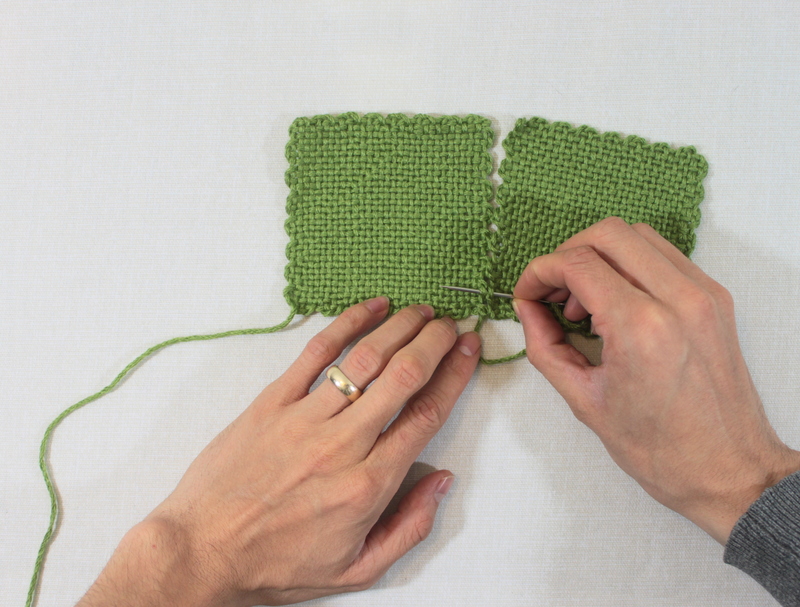 Start by sewing into the first loop of the adjoining square. Go back and forth between the squares making sure the squares stay aligned. This keeps the fabric pretty flat as the whole, and makes fewer puckers. 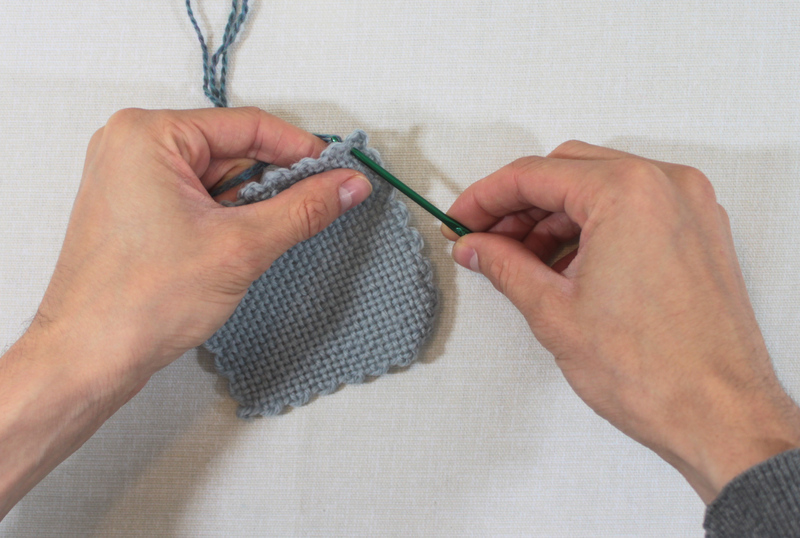 If you find that first technique a little difficult, you can hold the squares with their “right” sides together and whip stitch along the edge to secure them. 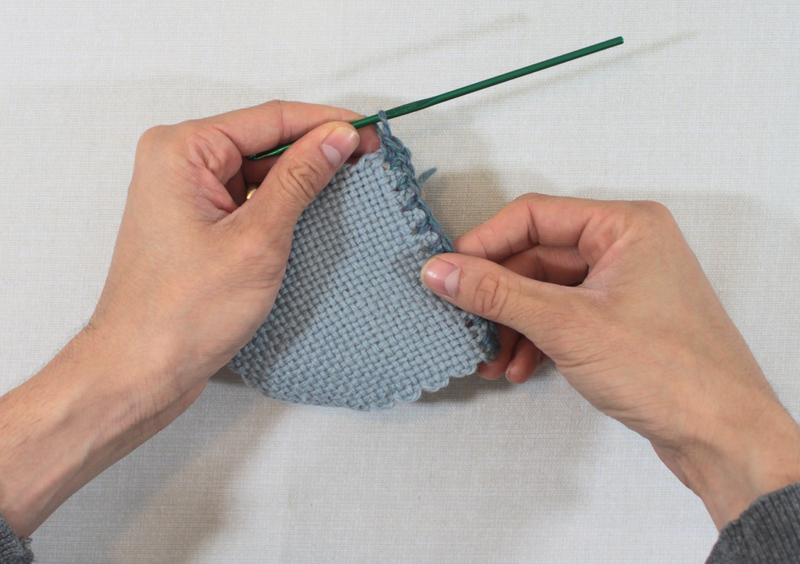 This method doesn’t alway lay flat, but it will still give you a practically invisible seam. The next few techniques involve nothing more than a crochet hook (a US size E hook should do) and some extra yarn. 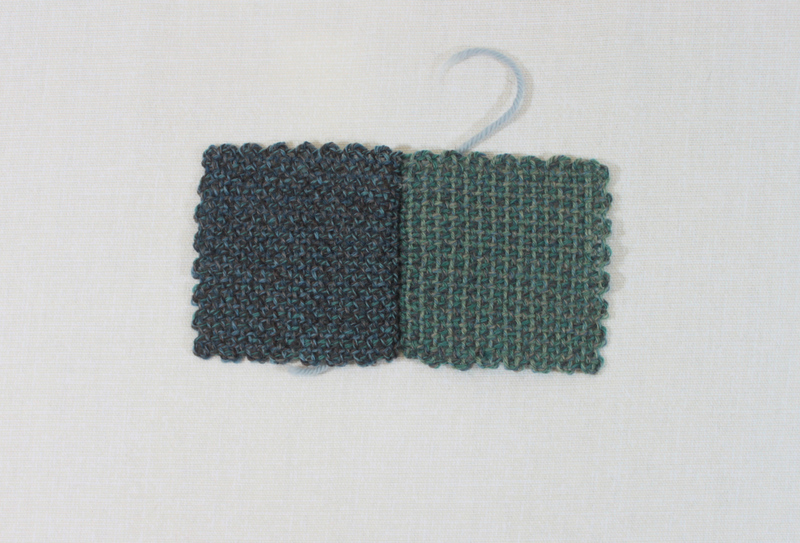 The first method utilizes a simple slip stitch. 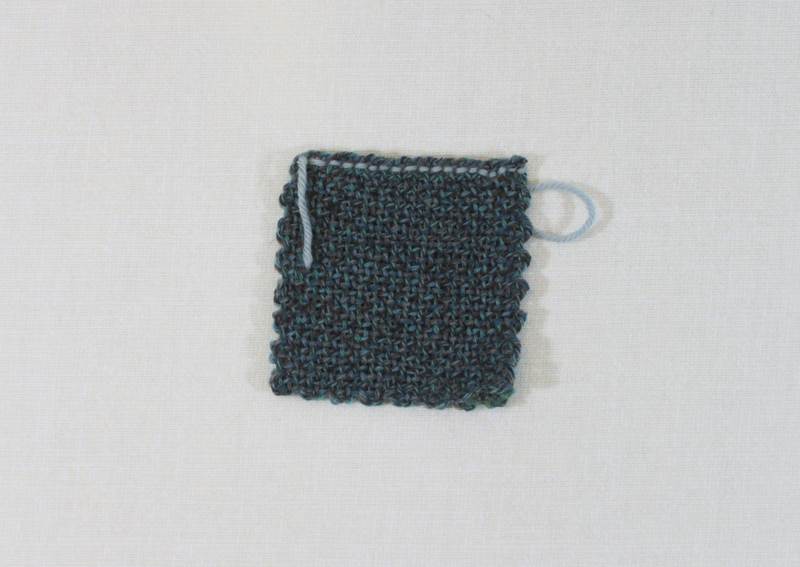 Start by holding your squares right sides together, then insert your hook through both layers and pull a loop of your extra yarn through the layers, then insert hook a little bit to the side of where you made your first insertion, and pull another loop through the layers, and the loop on your hook. 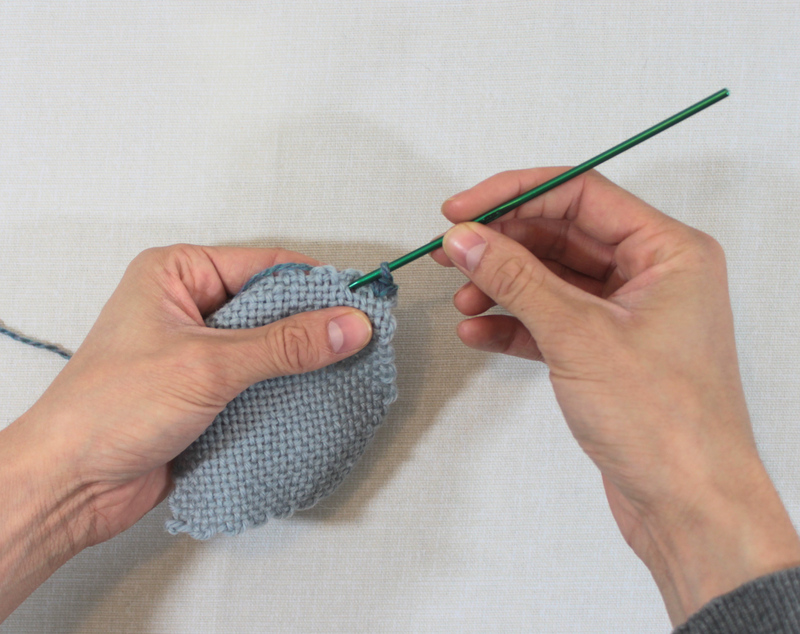 This method creates a strong join, bulkier than the whip stitch, but good for dense blankets and outer garments. 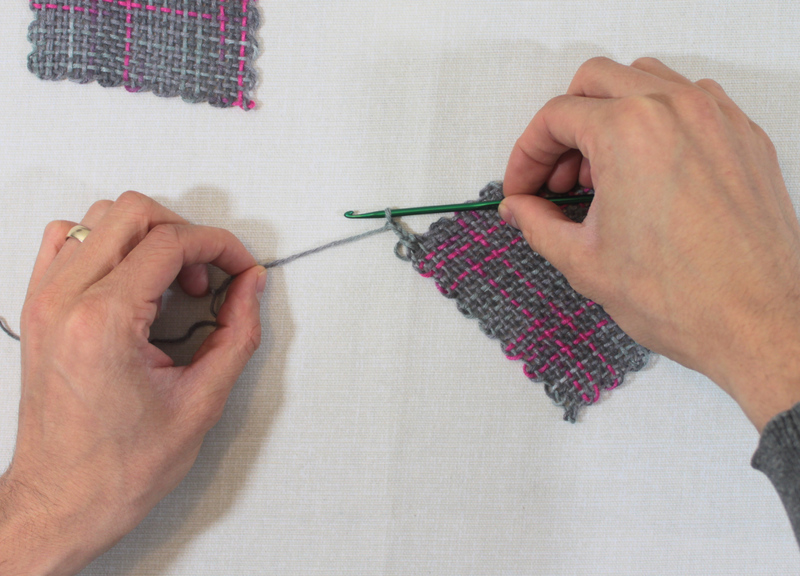 This next method also uses a crochet hook, and adds some length and width to your square. 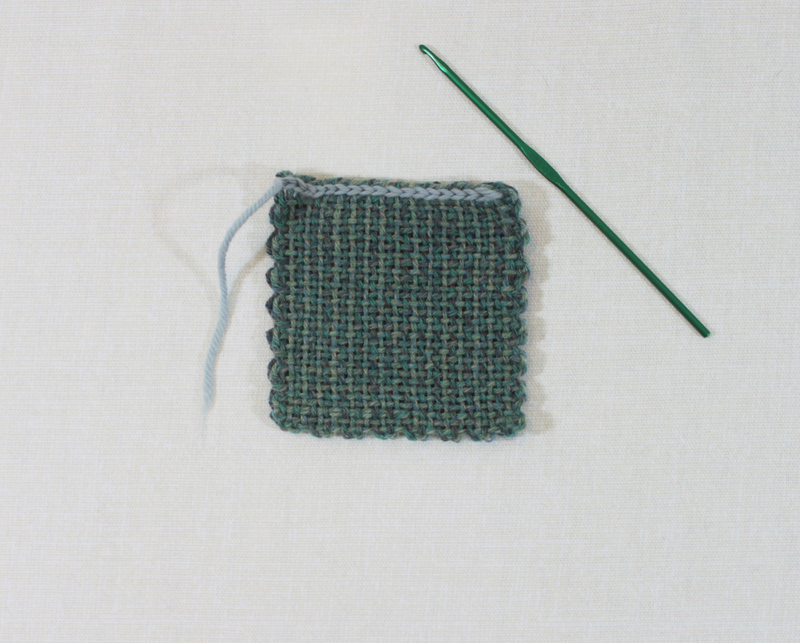 Start in one corner of the square, and single crochet around the square, putting 3 single crochets in each of the corners. 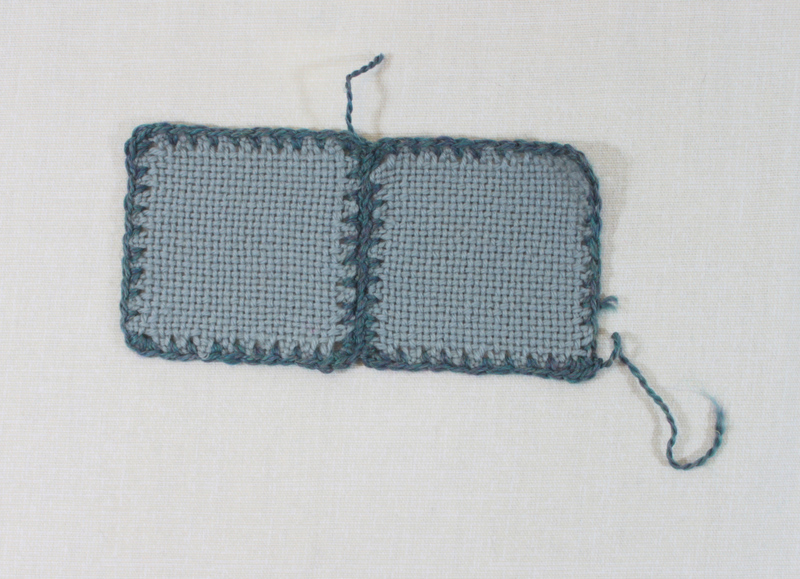 Then after your squares have the single crochet border, sew them together using the whip stitch method. Having extra fabric to sew into creates a stronger join, and if you use a contrasting color, this can add another level of design to your project. Another common technique is more decorative than structural, but the added lace makes an airy fabric, perfect for shawls (like the citrus squared shawl), scarves and other light-weight garments. 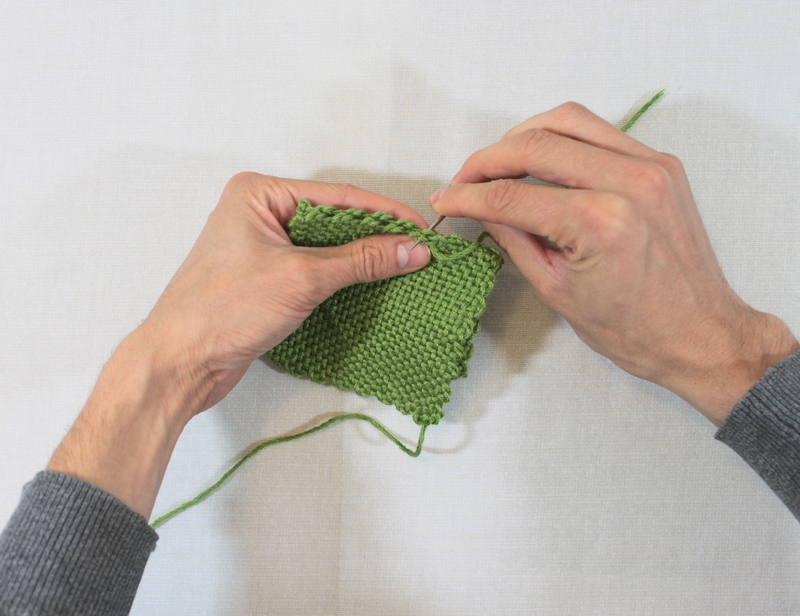 Start in one corner of a square, and slip stitch into the fabric, then chain 3 stitches and slip stitch into the bottom corner of the adjacent square. 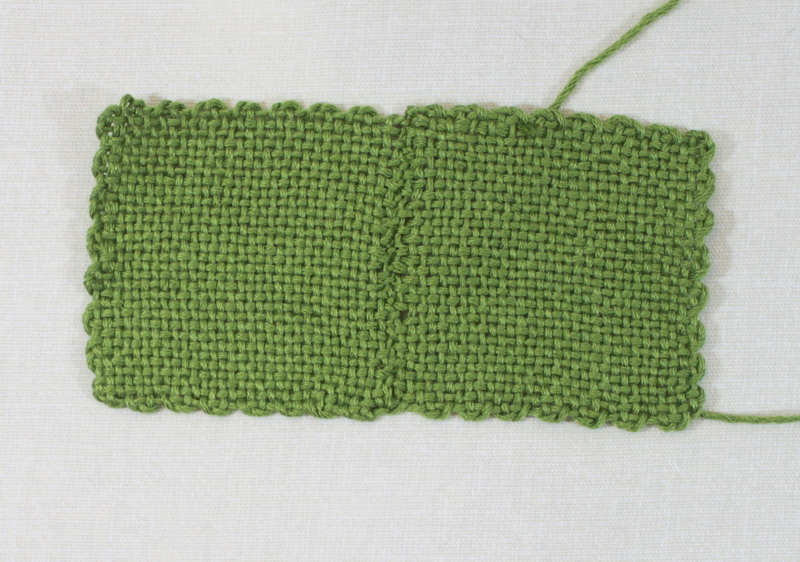 Chain 3 and slip stitch back into the original square, moving up the side of the square as you go along. Repeat this process going back forth between the squares until the whole side is seamed. 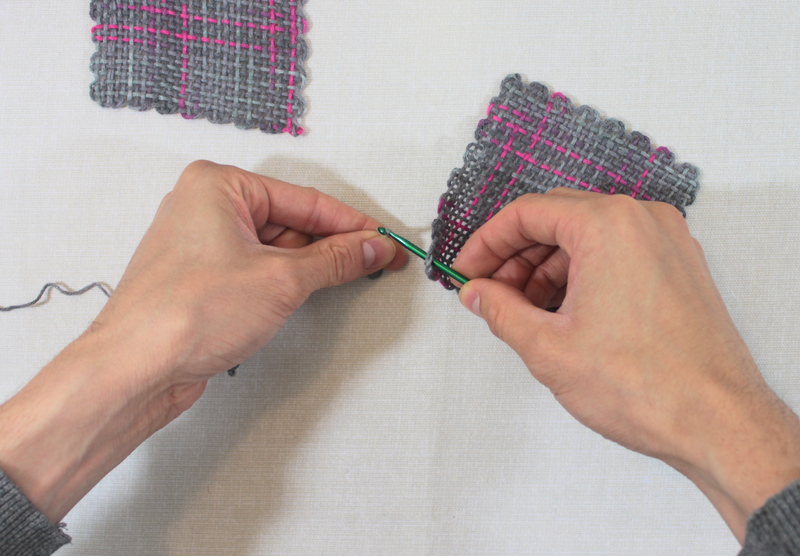 These techniques are just a few that you can add to your toolbox, and can be used in seaming larger pieces of handwoven fabric. Each technique is good for different purposes, and different types of yarn. Experiment with different seaming techniques in your projects, and see what you like best! 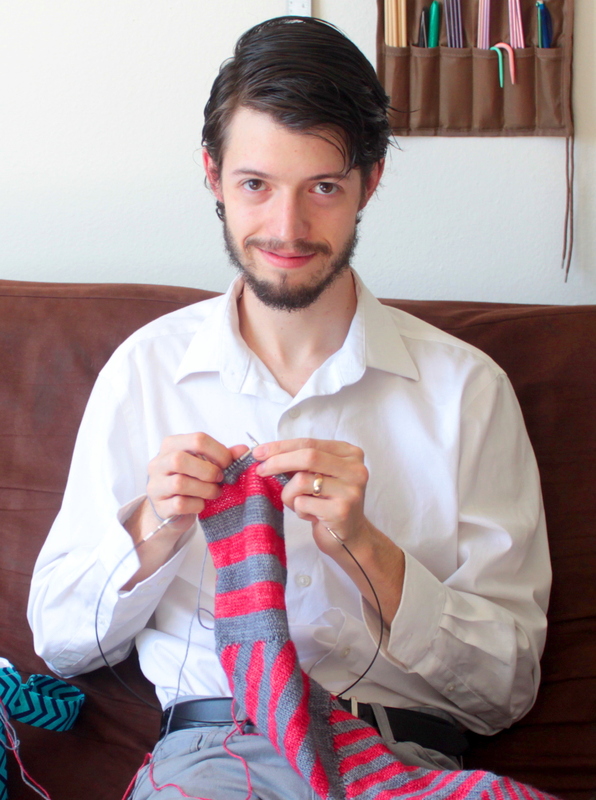 Benjamin Krudwig is a crochet and knitwear designer from Colorado who also spends much of his time spinning and weaving. Benjamin is the founder and co-owner of Benjamin Krudwig Fiber Arts and Design, along with his wife who sews project bags for knitting and crochet. Benjamin spends his time during the week running the social media program at Schacht Spindle Company.